Gonzo’s Grill @ 106 West Bankhead Street, New Albany, MS. Open Wednesday & Thursday 11:00M – 8:00pm, Friday & Saturday 11:00 – 9:00 pm. 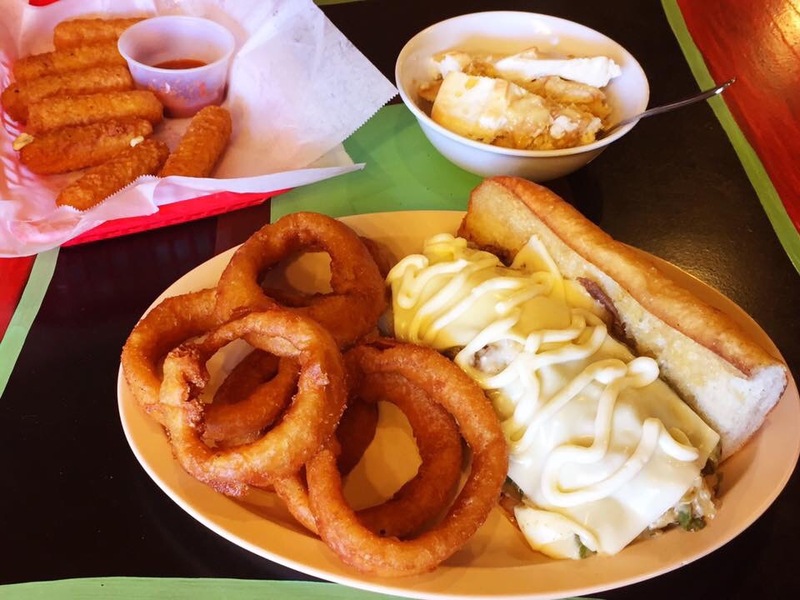 In this review: Philly Steak sandwich, beer battered onion rings, cheese sticks, and banana pudding…plus, a look at their two pound Gonzo Burger! 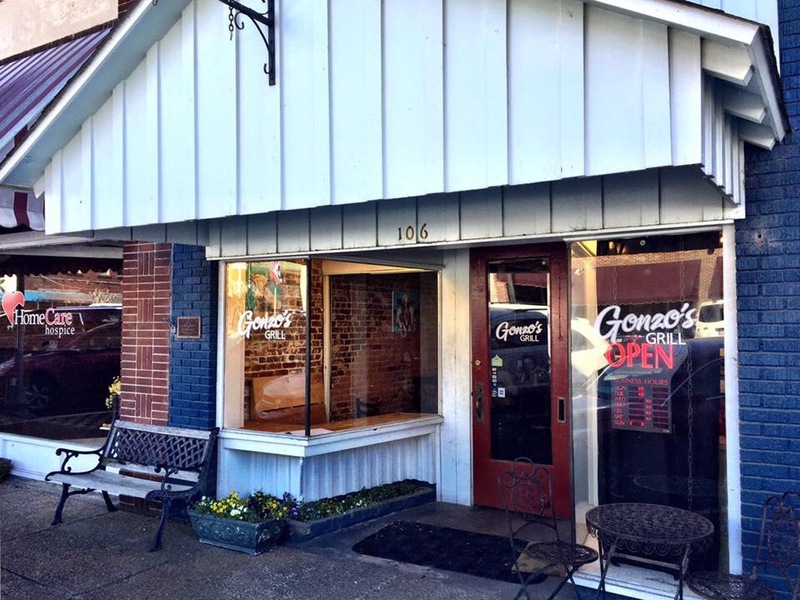 Gonzo’s Grill, owned by Mike and Wanda Gonzales, is located in the heart of Downtown New Albany surrounded by several locally run shops and other fine eateries. When you walk in, you get a down home, casual vibe. They have a simple printed menu that offers a variety of sandwiches, salads, plate dinners, appetizers, and sides. 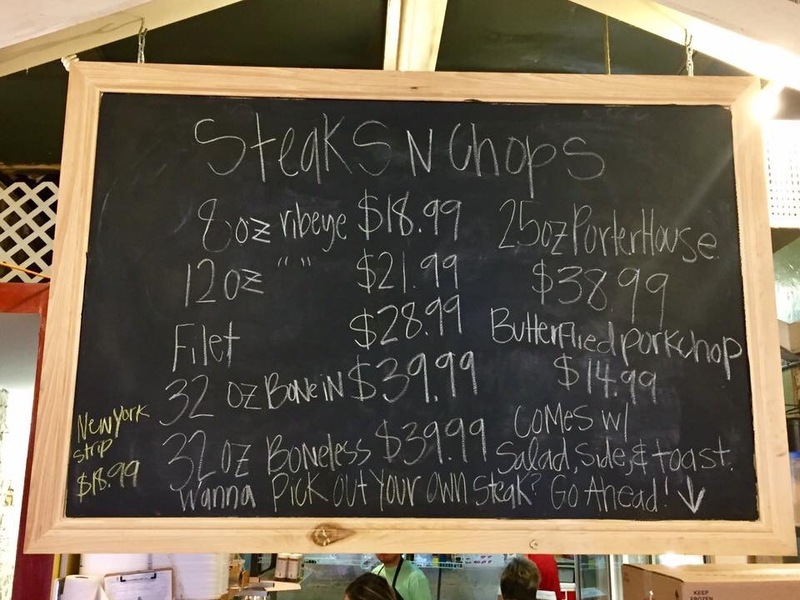 For a more upscale dining experience, they have a chalkboard hanging over the counter with an extensive list of steaks and chops of all shapes and sizes. 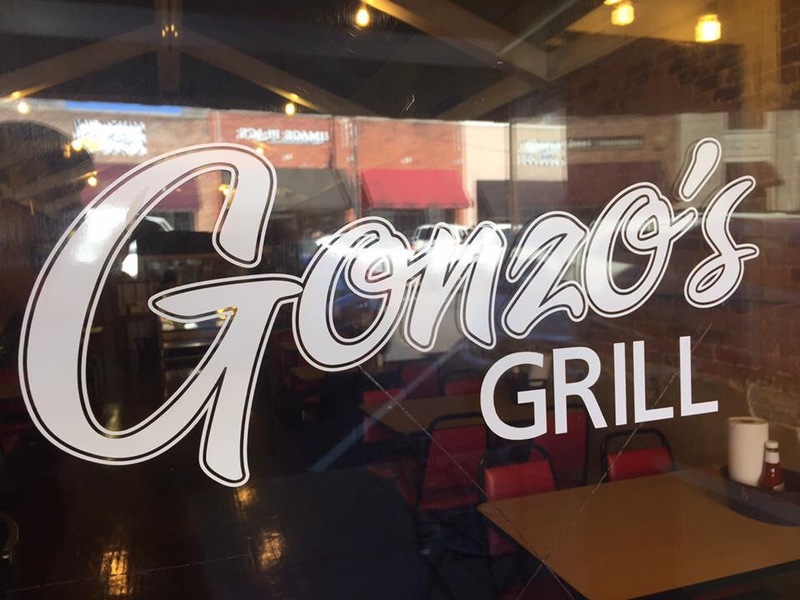 Believe it or not, this was the short version of what Gonzo’s Grill has to offer! Although their menu may look simple, everything I’ve ever ordered has had the ultimate WOW factor! Whenever I see anything prepared by Mike, my first thought is WOW! He knows that when folks like me eat out, they don’t just want something to eat, they want an over the top experience. When I first met Mike and Wanda, they were operating out an old abandoned gas station. People would travel for miles just to get a Gonzo Burger or a steak on the weekends. I thought for my first experience I’d just have a double burger with fries. 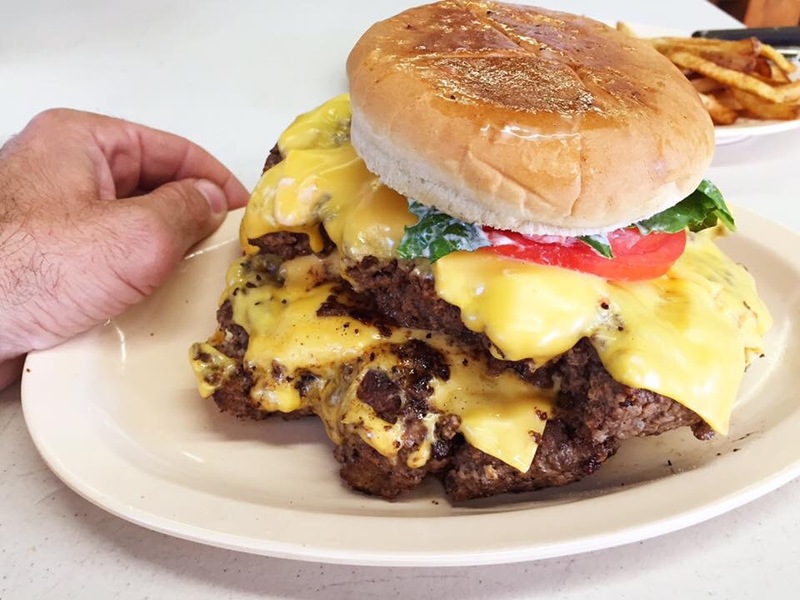 What I got was a full two pound burger loaded with cheese and it took both hands just to lift the monster! WOW!!!! 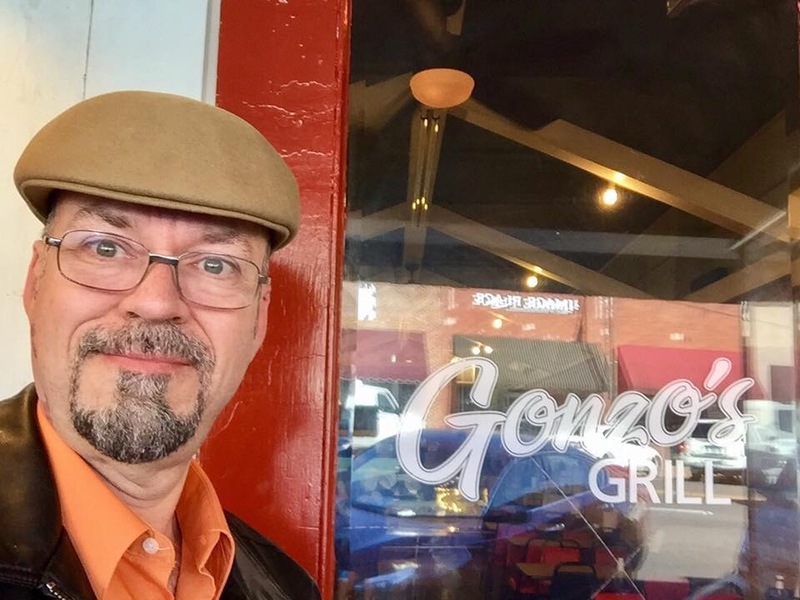 Since that first encounter, they have since outgrown the gas station where they began and have opened two new restaurants including Gonzo’s Grill. To commemorate my first visit to their new restaurant, I wanted to try something different. I had the Philly Steak sandwich with onion rings, cheese sticks for an appetizer, and homemade banana pudding. 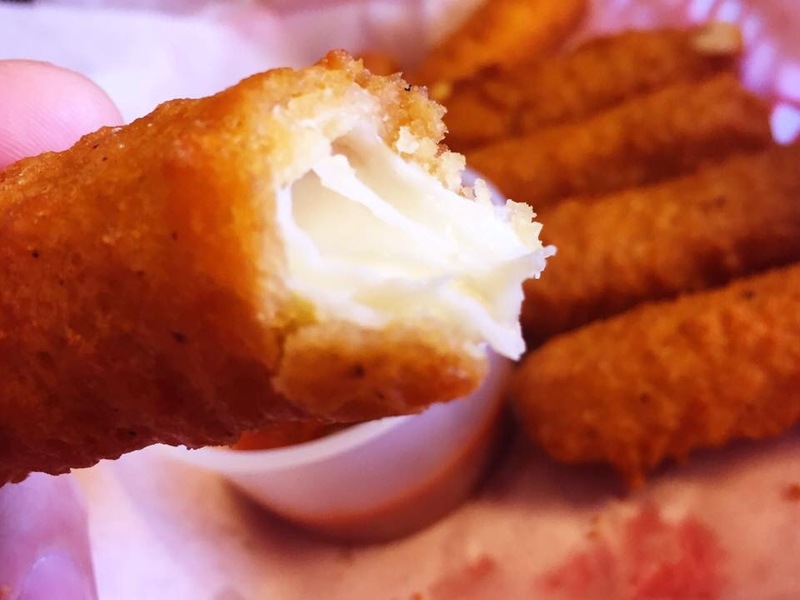 The fried cheese tasted great and was a good start, but pace yourself. You could easily fill up on the portion size they give you, but you want to save room for what’s to come. You can go old school and eat it with both hands or use a knife and fork. They have a roll of paper towels on each table so do what makes you happy! 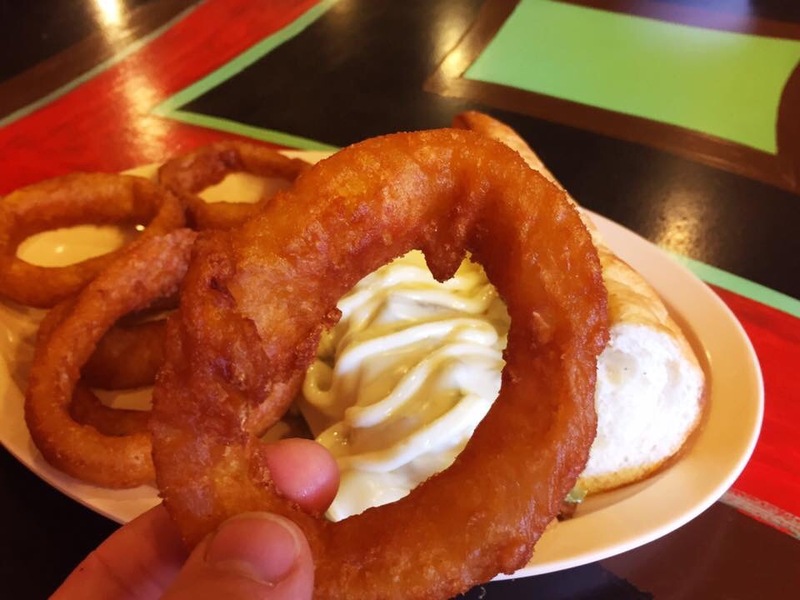 The onion rings are beer battered, have a slight crunch, and hold together well. 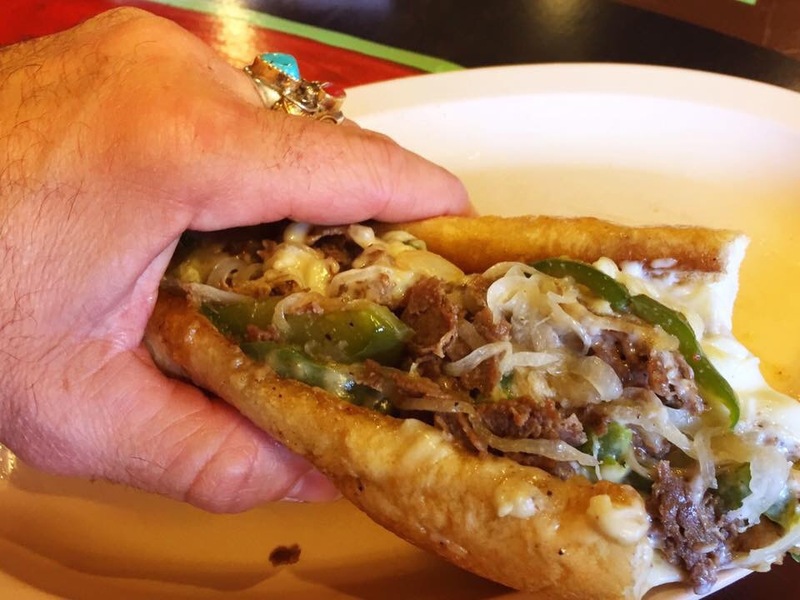 The rings complimented the Philly quite nicely. They didn’t have any dessert listed on the menu so be sure to ask what’s available. 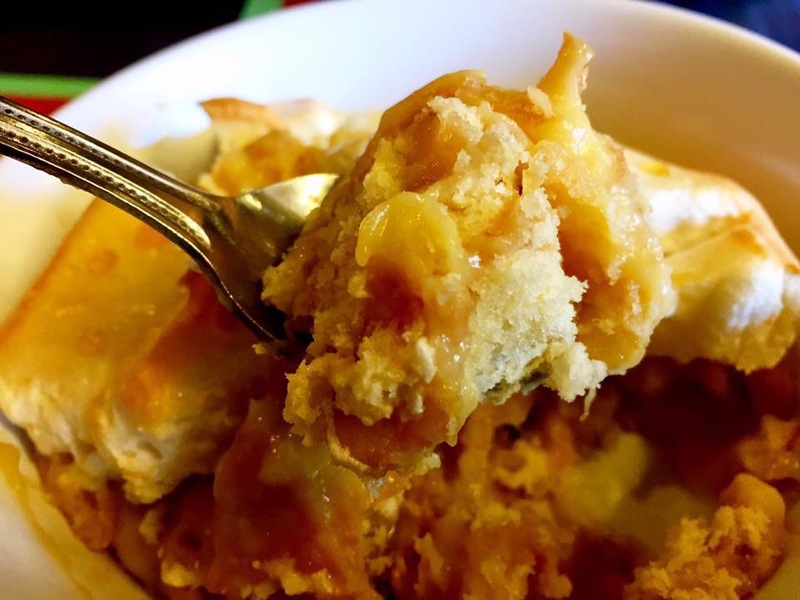 For this trip, they had some very good homemade banana pudding. It had a firm consistency with a thick layer of rich meringue. Soooo good! 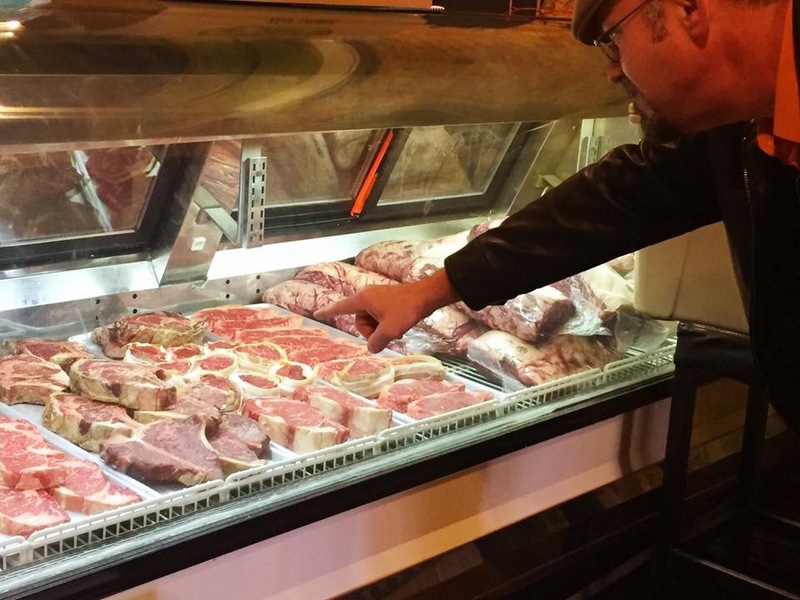 For the diehard steak connoisseur, at Gonzo’s you even get to pick your favorite cut of meat from the counter before it even touches the grill! I decided to check out the various cuts of meat available and was already planning my next meal! Although I didn’t have steak this time, it’s definitely on my list for the next visit. Even if you’ve never had the pleasure of visiting either of their restaurants, you’ve probably already seen them on tv. 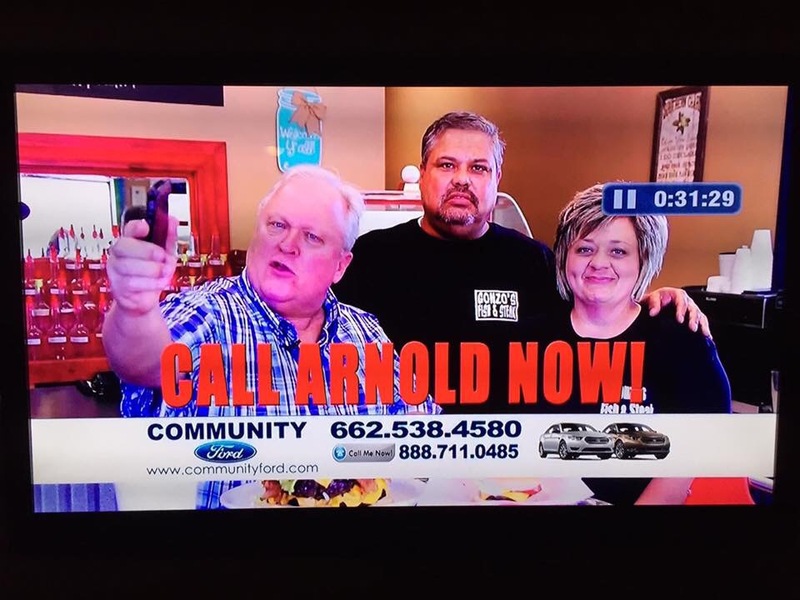 Their quality service and reputation of the monster sized Gonzo Burgers landed them a guest spot on a local car dealership commercial! There is saying that when the best restaurant in town is attached to a gas station, you probably live in the south. 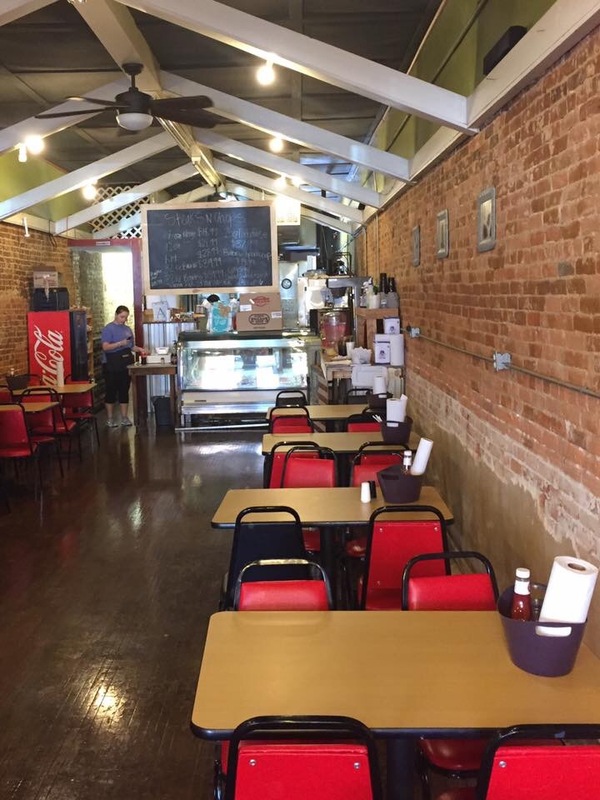 I’ve visited many such places while writing my blog, but owners Mike and Wanda Gonzales have transformed their love of good food from humble beginnings into a true American success story! 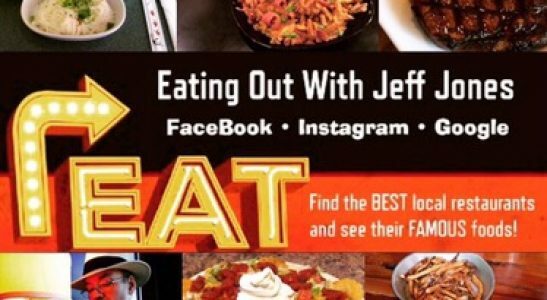 For more information with hours, specials, and locations, check out their pages and start planning your next foodie adventure!